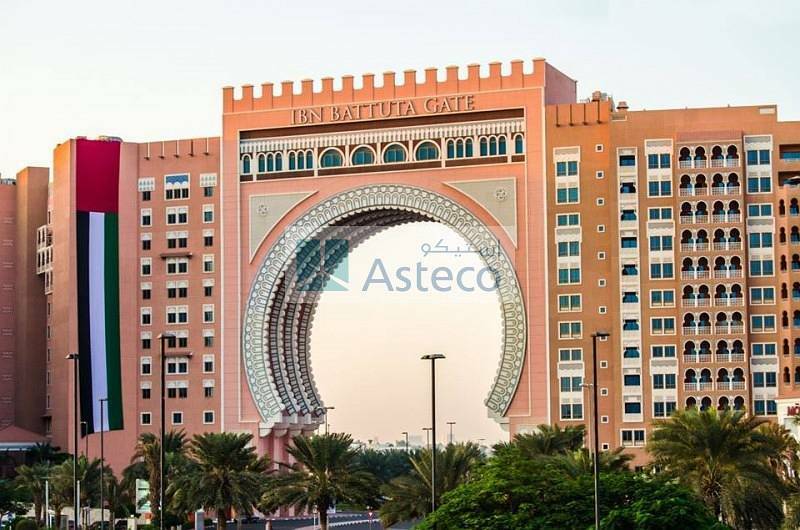 The Residences at Ibn Battuta Gate, located near Ibn Battuta Mall, are within walking distance from the metro station and all public transport routes from Sheikh Zayed Road. The Residences at Ibn Battuta Gate features 24-hours concierge, maintenance and security services, underground basement parking, fully-equipped gymnasium and rooftop swimming pool. Residents can also enjoy preferential rates at adjacent five-star Mxf6venpick Hotel, Ibn Battuta. These apartments are wired and equipped with TV and internet services plus top-of-the-range kitchens. Each apartment also offers high-end fixtures and fittings, excellent finishes, built-in wardrobes and balconies. Furnished apartments are provided with high quality furniture and appliances. Property features include spacious floor plan layouts, open kitchens and central air-conditioning. Option to take the apartment as furnished or Unfurnished.